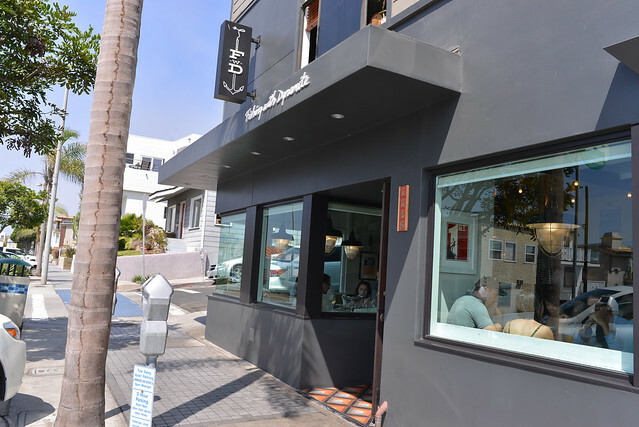 Leveraging the success of his popular Manhattan Beach Post restaurant, chef David Lefevre opened Fishing with Dynamite on the same block earlier this year. 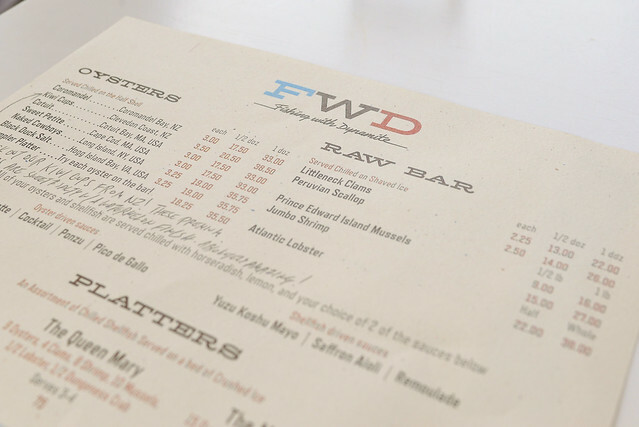 This new restaurant is more seafood-centric, reminiscent of Lefevre’s Water Grill days. Whereas many expected M.B. 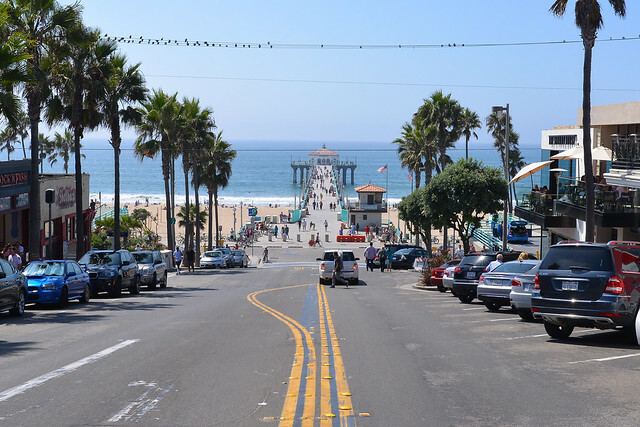 Post to be a seafood restaurant (bringing Water Grill influences to Manhattan Beach), it turned out to be more balanced featuring bold, full flavors. From my experience, Fishing with Dynamite seems to be more finessed with more subtle flavors. Not unlike M.B. Post, Fishing with Dynamite has been packed early on. 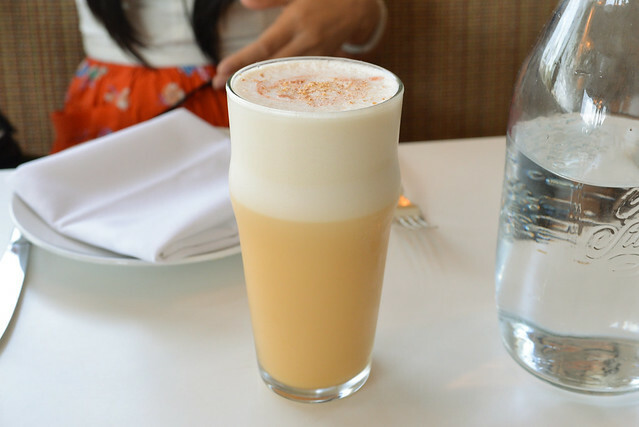 I snatched a weekend lunch reservation weeks in advance; lunch and dinner menus appear to be the same. A varied raw bar and seafood platters are available, as well as a combination of both “old school” and “new school” dishes. Similar to M.B. Post, Fishing with Dynamite has a full bar with cocktails crafted to pair with the cuisine. Being so close to the water, a platter of seafood was in order. We enjoyed each of the cool, sweet morsels save for the mussels. Shrunken and a bit dry, I think they were overcooked. 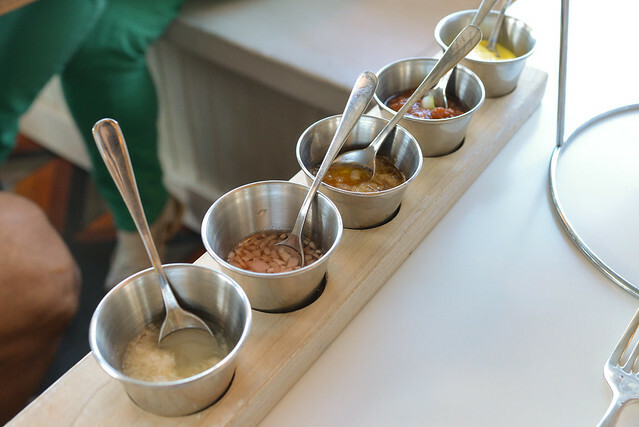 Loved the assortment of sauces to accompany the shellfish, especially the saffron aioli. I found the soup to be well-balanced – not too spicy and not too rich. There was a lot of curry-like depth too, aided by plump sweet chunks of shrimp. The mussels, however, suffered from the safe ill-fate as the ones on the platter. This beauty was slightly less traditional, with loosely packed jumbo lumps of sweet crab topped by crispy breadcrumbs. We really liked the full crab flavor, but wanted just a touch more texture from the breadcrumbs. Neighboring tables appeared to have varying degrees of golden brown topping. Still, this was one of the better crab cakes I’ve had in town. Silky smooth and buttery, the cod turned out as good as we hoped. Really well-executed. 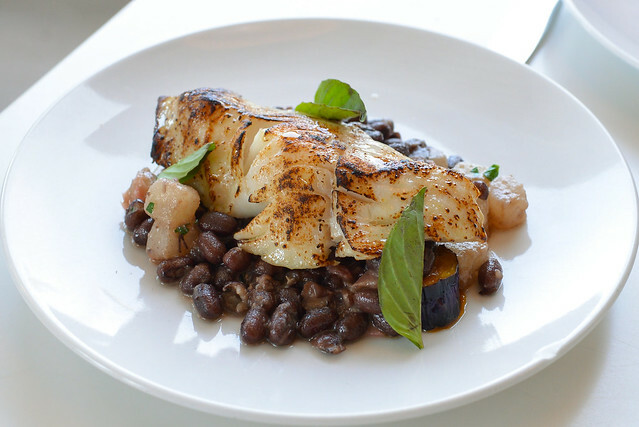 Subtle sweetness and saltiness was complemented by a savory application of adzuki beans, daikon and eggplant. I really liked the bright flavor that the Thai basil provided; if anything, I wanted more than a couple slivers of the herb. Feeling content and with an afternoon of walking ahead, we decided to forego dessert. We enjoyed the meal and Lefevre’s mix of traditional and more modern seafood takes. 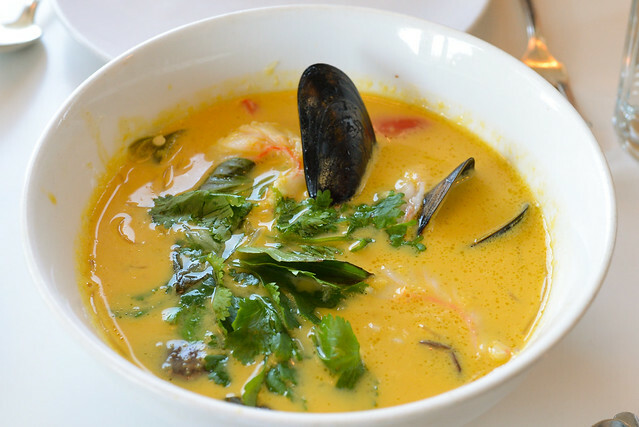 With the exception of the mussels in the two dishes, we liked everything. One of the more successful seafood-centric spots to open recently, I would definitely return to try more. 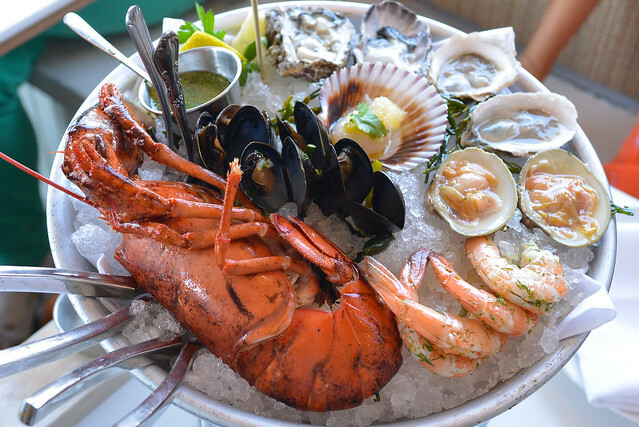 Ah, seafood by the sea…what could be better? So, should I get the crab cake on my visit? 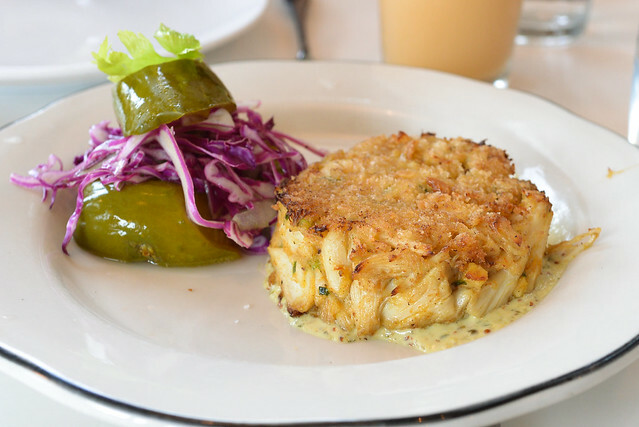 Yes, get the crab cake for sure. I really like Hungry Cat’s seafood platter, have you tried it?